Are you and your significant other a "Classic Couple"? Well, show and tell us about it!! We want to give you a chance to win one of three awesome, romantic prizes as part of Your Tewksbury Today's "Classic Couple Valentine's Day Contest" sponsored by Courtyard by Marriott, Billerica! 2. A romantic four-course Valentine's Day Dinner for 2 at Al Fresca Ristorante. 3. 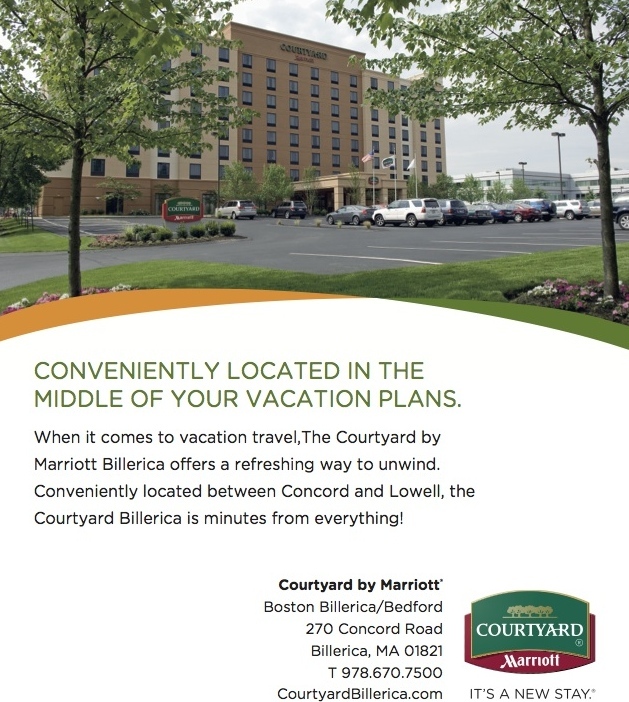 A romantic overnight stay at the Courtyard by Marriott, Billerica. E-mail us a photo of you and your significant other (spouse, girlfriend, boyfriend, etc) and in 25 words or less, tell us what makes you two a "Classic Couple!" E-mail your entry to Bill@yourtewksburytoday.com What makes a classic couple? That's up to you to decide! Share this article on social media (Facebook, Twitter, etc) using one of the easy icons on the left side of this page. You must be at least 21 years of age to enter. All entries must be received no later than 8 a.m. EST on Feb. 12, 2015. Limit of one entry per person. Three winners will be selected at random on Thursday, Feb. 12 at Noon, from among the eligible entrants. Winners will be notified by email.